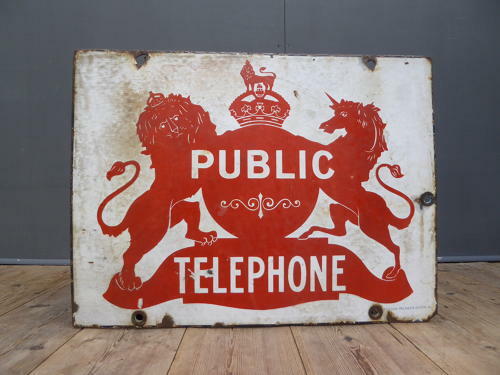 A beautiful early vintage 'Public Telephone' enamel sign by Bruton of Palmers Green. A fantastic piece, the large, deep red coat of arms contrasting beautifully with the naturally worn white background. Double sided & displays beautifully. Wear commensurate with age as pictured, unrestored with one side better than the other.